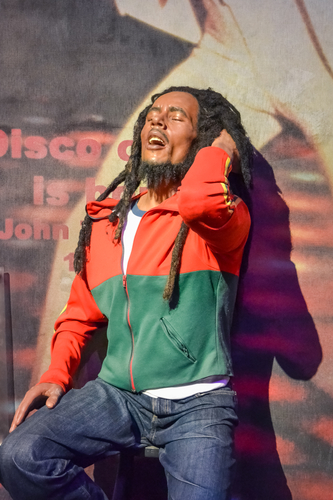 If the undisputed ‘King of Reggae’ were still alive today, Robert Nesta “Bob” Marley would be 71 years old. The legendary singer, songwriter, musician, and family man died on May 11, 1981 at the unlikely age of 36 of a rare melanoma. Marley’s form of cancer, acral lentiginous melanoma (ALM), is most common in people of color and affects hairless areas of the skin, like under nails, on palms or the underside of feet. The most common form of melanoma is caused by exposure to the sun or ultraviolet radiation, including tanning beds. Genetic factors, however, play a bigger role in melanoma in colored people. Marley’s melanoma should have been caught early, but it wasn’t. If it had been detected and treated, he could have been cured. Unfortunately, Marley’s melanoma was left untreated too long and it metastasized to the rest of his body in very short order. Marley died way too young, and many others with similar conditions are saved today because of advanced treatments for melanoma. According to scientific studies, AML tumors don’t increase in incidence as quickly as other melanomas, but they do tend to have worse prognosis. Acral lentiginous melanoma accounts for roughly 3% of all melanomas. The survival rates for patients with melanoma-specific ALM were 80.3% at 5 years and 67.5% at 10 years. The survival rate for stage II and III tumors in those with ALM 10-year survival rates were 10% to 15% lower than for cutaneous melanomas overall. Although highly rare in Caucasians, ALM tends to occur on the foot, and predominantly in Asians and Africans, according the U.S. National Library of Medicine National Institute of Health. Since ALM is usually discovered and diagnosed at advanced stages, prognosis and outcomes are typically poor. All forms of melanoma are aggressive, so early detection is paramount. Make sure you give yourself self-checks and visit a professional dermatologist once a year. Misdiagnosed and delayed diagnosis of a medical illness, condition, or injury can often lead to medical malpractice lawsuits. Oftentimes, it can be a misdiagnosis or just totally incorrect or delayed treatment for a patient’s condition that can lead to further injury or even death. In most cases, a misdiagnosis by itself isn’t always enough to carry a medical malpractice lawsuit. Proving medical malpractice is something a knowledgeable and qualified medical malpractice attorney can determine. If you think you have been misdiagnosed with melanoma, contact a Portland Delayed Diagnosis of Melanoma Lawyer at the Savage Law Firm by calling 503-222-0200 (in Portland) or 206-957-7272 (in Seattle). You can also email us using the form on this page. We represent clients in communities in both Oregon and Washington from our offices in Portland and Seattle. 1“21 Things You Don’t Know About Bob Marley” published in Patheos, April 2008. 2“Top-Earning Dead Celebrities 2017” published in Forbes, Oct. 2017. 3“The Bottom Line on Acral Melanoma” published in NEJM Journal Watch, May 2009. 4“A Rare Form of Melanoma Masquerading as a Diabetic Foot Ulcer: A Case Report” published in Hindawi Journal, January 2012.